Last Friday was Friday the 13th but more importantly, it was Liam Hemsworth’s birthday. 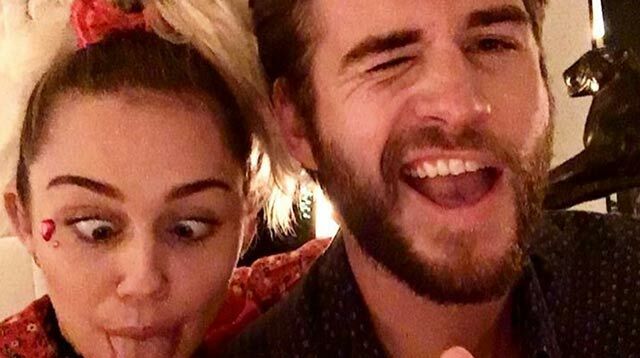 One of the first people to wish him a Happy 27th is of course Miley Cyrus, who shared a special photo of her bae on Instagram in the wee hours, along with a message that will probably wreck you (in a good way). She calls him "my favorite being," "my best friend," and thanks him for sharing her love for animals (and sharing custody of actual animals). Note Miley’s use of all the animal emojis representing all the fluff balls they share. Hours before, Miley also wished BFF Wayne Coyne from the Flaming Lips a Happy Birthday. (Wayne and Liam share the same birthday). "I can’t believe that of allllll da days in a year my 2 favorite dudes on the planet share a birfffffday!!!!! MAGIC!" she wrote. Now that you’ve all gushed over Miley’s latest declaration of love for her boo, please turn your attention to these excellent photos of Liam’s dog Dora, who’s made several appearances on Miley’s Instagram account as of late. If you must know, Dora is my favorite animal child of the Cyrus-Hemsworth clan. I mean, look at her. Happy Birthday, Liam. May you spend some part of your day snuggling with all the animals.